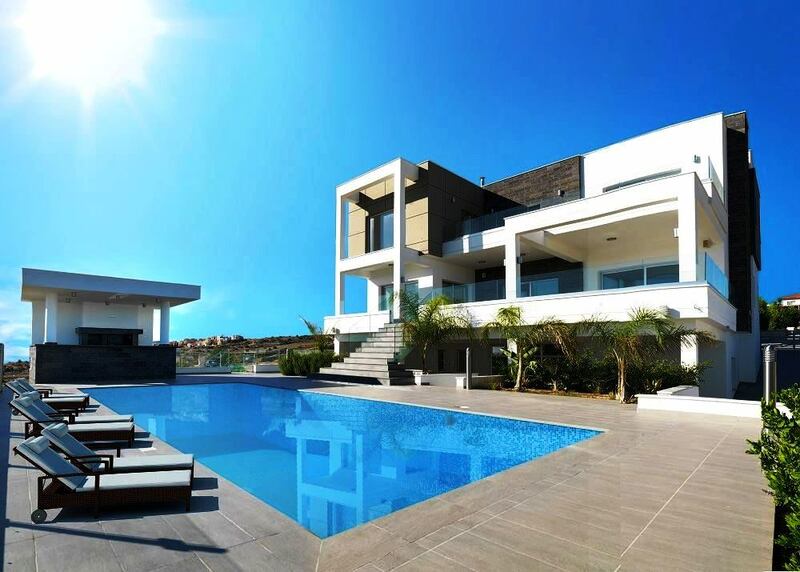 Purchase of this property qualifies the buyer for Cyprus / EU Citizenship and Cyprus / EU passport! Luxury 5 bedroom villa with panoramic sea & town views constructed with the finest quality materials and designed to perfection. Located in a prime location of Limassol in a quiet and peaceful area between Germasogia and Agio Athanasio on an elevated position with breathtaking views of the Mediterranean coastline. A truly splendid Villa with breath-taking views in one of the best locations in Limassol and with Full Title Deeds. PRICE: 2,395,000 – inclusive of Vat!